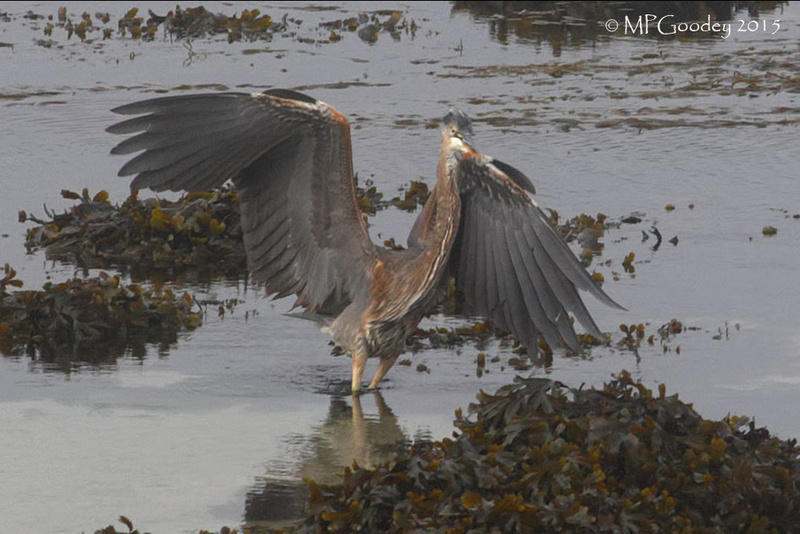 The discovery of Britain's second Great Blue Heron on St Mary's, Scilly, late on Tuesday 14th was a cataclysmic surprise in a largely warm and settled week that was otherwise dominated by large numbers of returning migrants and a number of fine overshoots appearing, primarily in south-west England and southern Ireland. The heron's occurrence is surrounded by amazing coincidences: not only is it on the same island as Britain's only other record, but was also found by the same observer! Its continued presence early this morning will (if it stays) be music to the ears of twitchers following the ill-fated attempts of many to see the December 2007 bird — stormy conditions at the time grounded planes and left a number of birders stranded on the archipelago for a few days! At least the weather is set fair for the weekend. 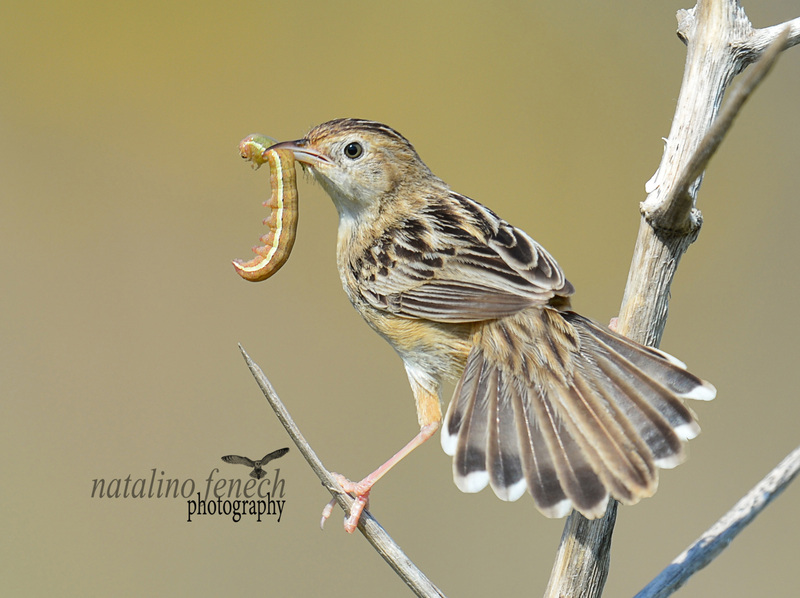 Even before this significant news came to light it was shaping up to be the most exciting week of the year for new arrivals, with favourable conditions leading to a widespread arrival of summer migrants. 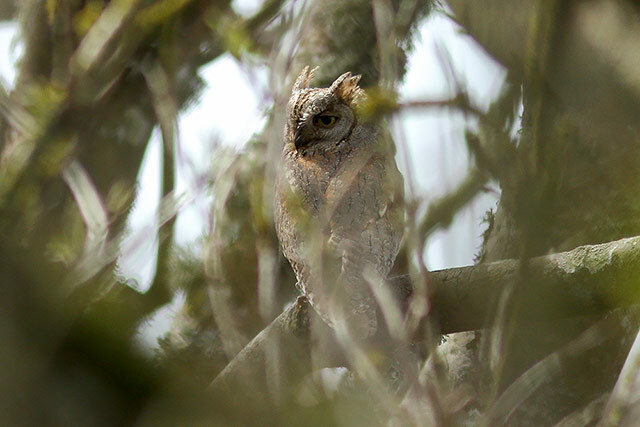 Headline bird was a Eurasian Scops Owl on Great Saltee Island, Co Wexford, on 11th. Found on the island early in the afternoon, it was clearly a fresh arrival, as its rather bemused (and quite unimpressed) expression in the image below would appear to suggest. Evidently this sparsely vegetated island was not to its liking and it soon moved off, with no sign from mid-afternoon onwards. 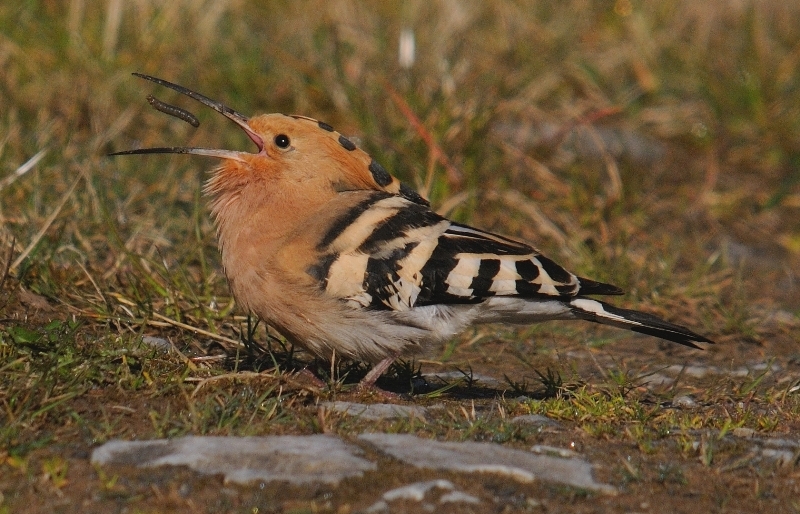 But it was really Eurasian Hoopoe that stole the show this week, with a quite amazing influx like none other seen this century. No fewer than 168 reports of the species were disseminated on our news page, with a conservative count of 95 birds — in reality, hundreds must have arrived. Scoring heavily were the Isles of Scilly, with a minimum of 18 birds including 11+ on St Mary's alone. West Cornwall racked up a similar number, although one wonders how many are still lurking undetected in the area's myriad fields and valleys. Remarkably, none were reported in Devon, although Kent registered at least two, Pembrokeshire three and Ceredigion, Gwynedd, West Sussex and Hampshire all one. In Scotland one reached Ormiclate, South Uist, and there were two in Argyll. In Ireland it was Co Cork that did best: an absolute minimum of 28 were seen, although the true total must be many times more than this. Neighbouring Co Waterford scored half a dozen, Co Wexford seven and Co Kerry four, with a single report from Co Limerick. 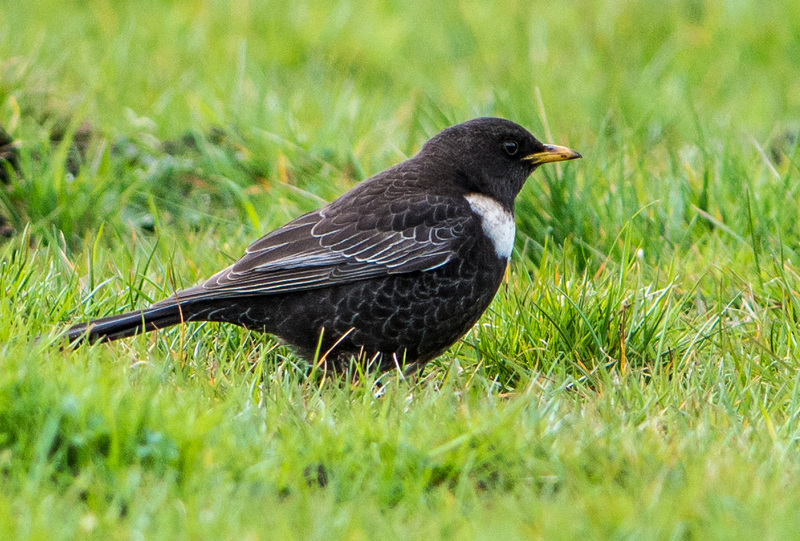 Of the commoner migrants, Ring Ouzel had a similarly impressive week, with an intense passage through many traditional haunts in the southern half of the UK, particularly on the downs of the Home Counties and Bedfordshire. Quantifying the numbers involved is difficult to say the least but many hundreds — perhaps even thousands — were seen, and we carried a fantastic 517 reports of the species throughout the week. Among these were many impressive counts: one can only imagine what the 52+ all together on the same slope at Combe Hill, Berkshire, must have looked like on the evening of 13th. This eclipsed an impressive 41 tallied at Ivinghoe Beacon, Bucks, on 10th and other significant counts such as 20+ on Great Orme, Conwy, on 10th. 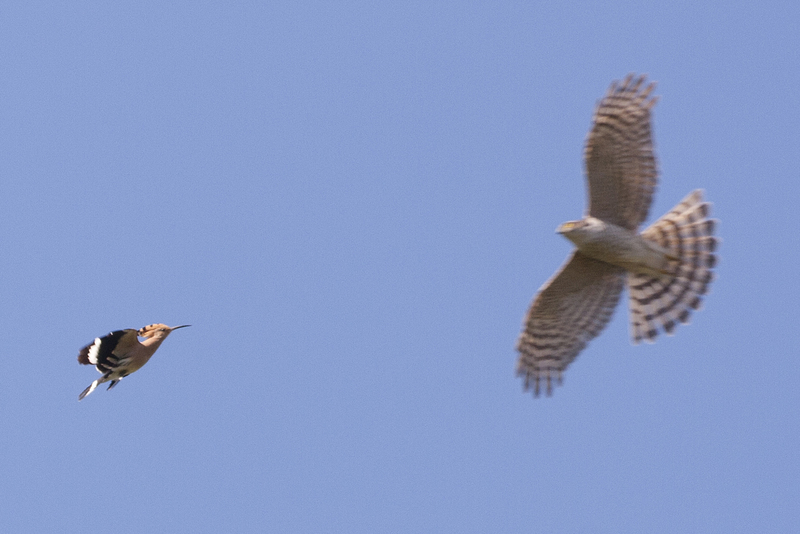 Though not rivalling the sheer spectacle of the ouzel passage, other species such as Whinchat, Common Redstart and Pied Flycatcher all began to appear in numbers for the first time this spring, while the first Dotterel also appeared: a male on St Martin's, Scilly, on 8–9th preceded a flock of nine (latterly six) near Choseley, Norfolk, from 13th. 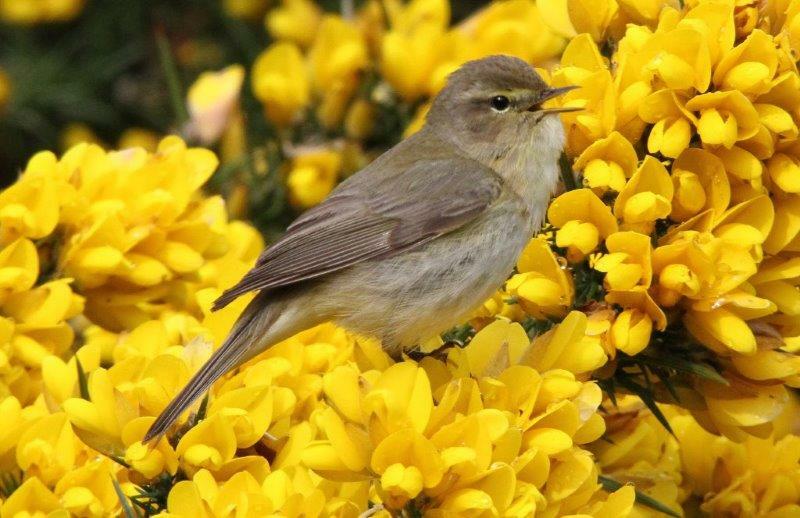 There were also reports of Blue-headed and 'Channel' Wagtails, and Common Cuckoos, Grasshopper Warblers and Nightingales are rapidly reoccupying territories in the south — a single of the latter on Saltee Islands, Co Wexford, on 10th was a great Irish occurrence. Among them were the scarcities: the first European Bee-eaters of 2015 were over Greatham Creek, Cleveland, on 11th and at Rother Valley Country Park, S Yorks, on 12th. 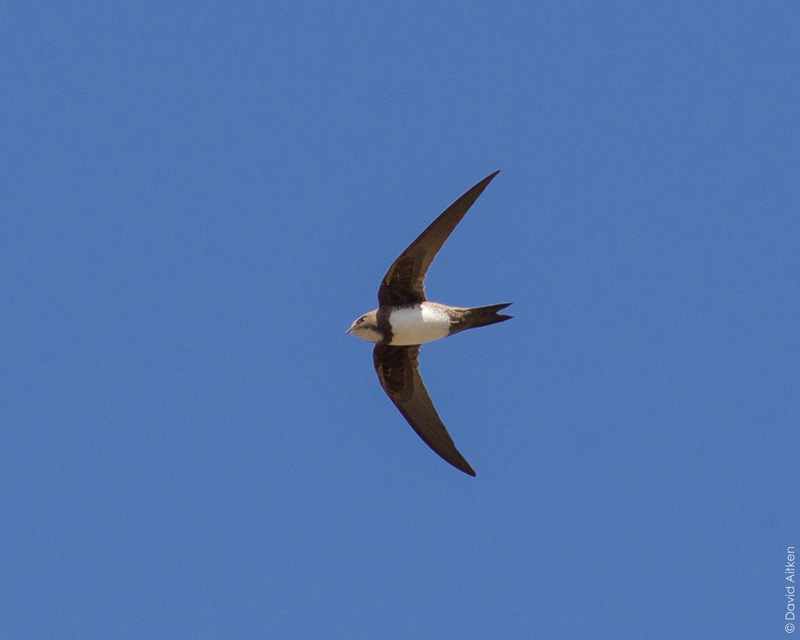 Alpine Swifts at Flamborough Head, E Yorks, on 11th and Verwood, Dorset, on 12th were too brief to be widely twitched and were followed by a bird inland at Rutland Water for 90 minutes on 14th. The first Red-rumped Swallow of the year was at Mizen Head, Co Cork, on 9th and another was at Marazion, Cornwall, on 14th. A stunning male White-spotted Bluethroat was at Amwell Nature Reserve, Herts, on the evening of 13th, and another was briefly at Faversham Creek, Kent, that morning. 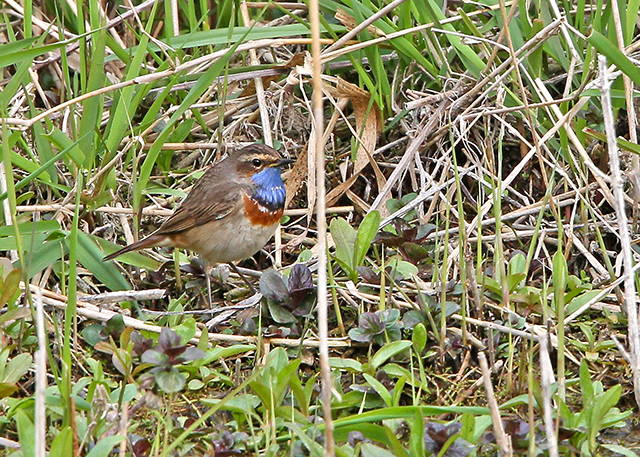 A third Bluethroat was at Bowness-on-Solway, Cumbria, on 8th and, going on date, was surely also a white-spot. 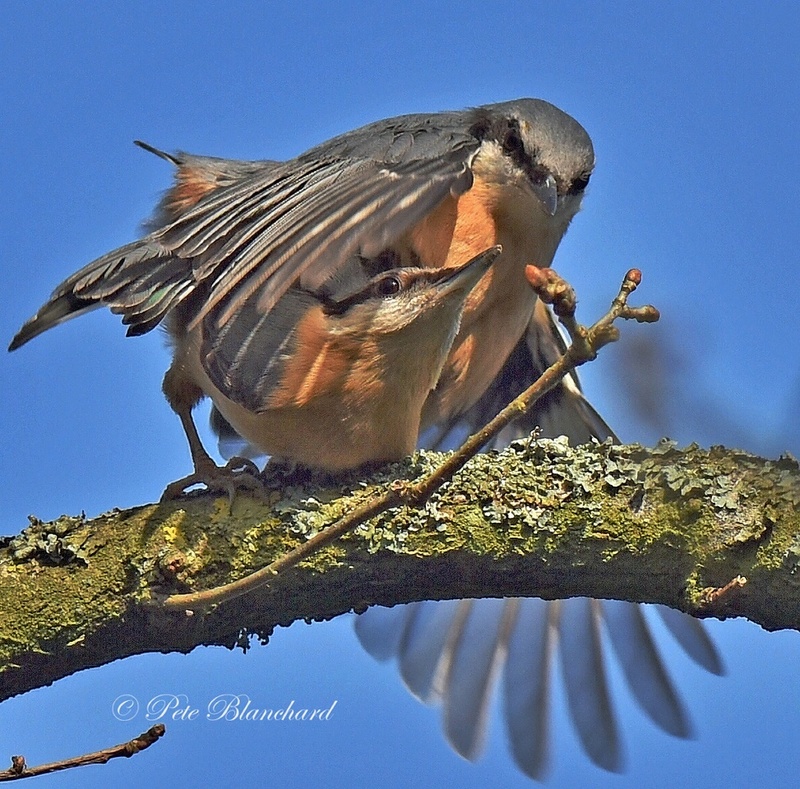 A male Western Subalpine Warbler between Lizard village and Kynance Cove, Cornwall, on 13th was joined by a second the following evening; another male was at Brownstown Head, Co Waterford, from 11th. A Woodchat Shrike was briefly on Cape Clear, Co Cork, on 13th but another at Soar Mill Cove, Devon, was a little more confiding the following day. European Serins were reported from Jersey, the Isles of Scilly, Kent, Norfolk and East Yorkshire but all were characteristically brief. A Richard's Pipit at Heamoor, Cornwall, on 8th was also new, while a very respectable spring showing of around 30 Wrynecks included multiple birds at a number of sites. 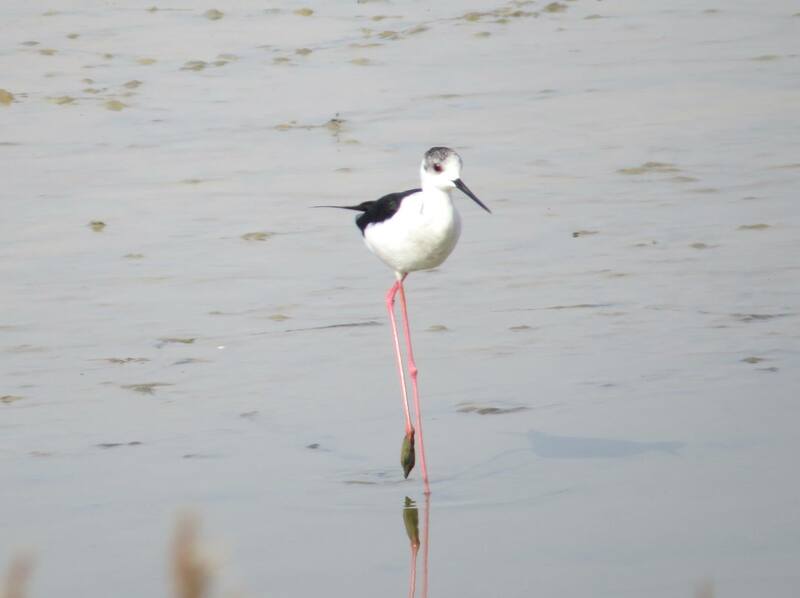 Last week's Black-winged Stilt at Abbotsbury, Dorset, lingered to 10th and what was perhaps the same bird relocated to Sidlesham Ferry Pool, W Sussex, on 13th. 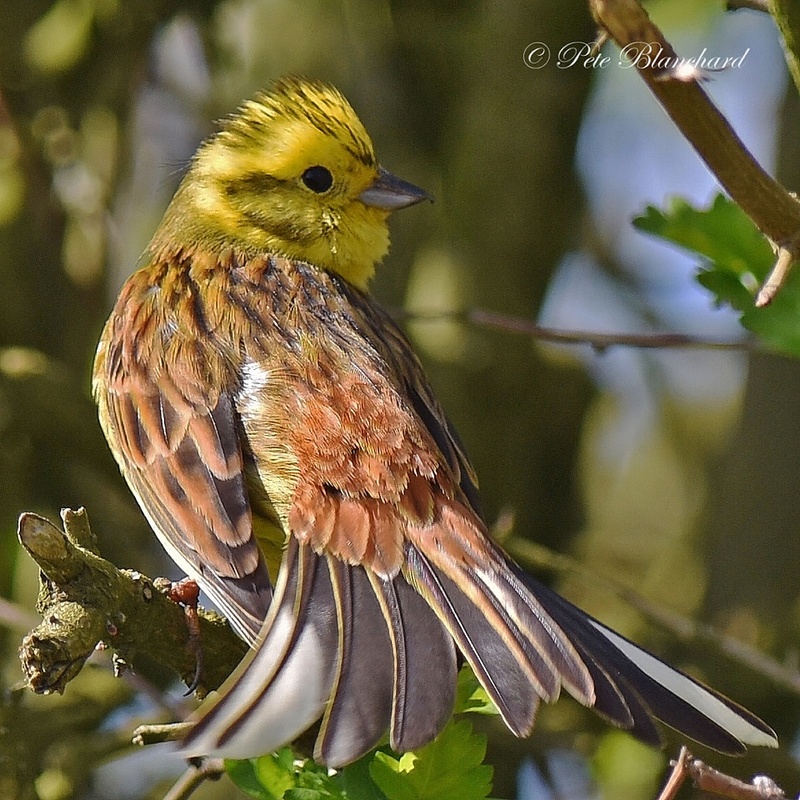 An influx then occurred on 14th, with up to six birds at Higham Marshes, Kent, two at Bowers Marsh, Essex, and a single bird briefly at Grove Ferry, Kent. 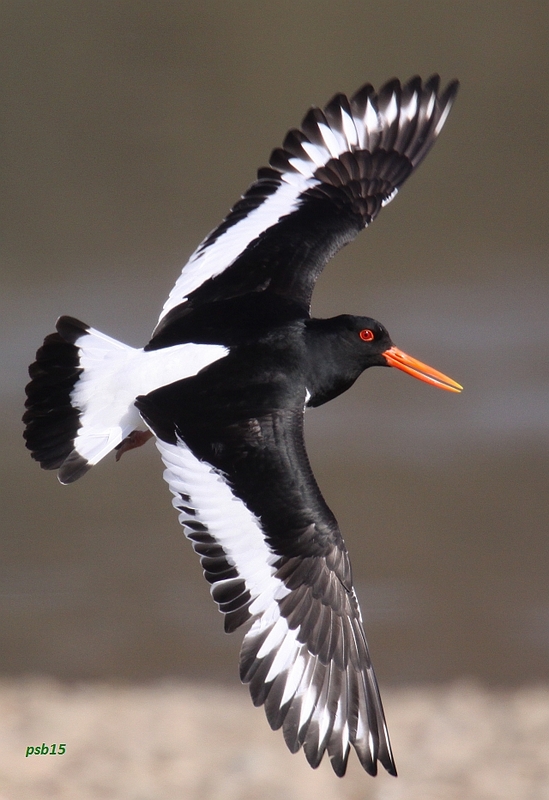 At this rate we could well be set for another breeding year for this elegant but noisy wader. 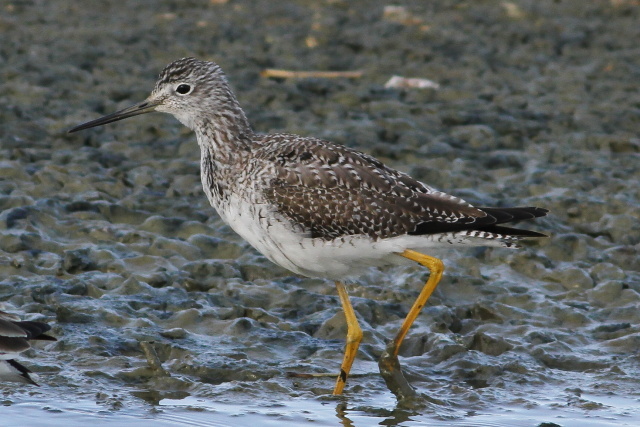 Almost overlooked amid the excitement surrounding the surge of spring was the reappearance of Hampshire's Greater Yellowlegs at Titchfield Haven on 11th — three months to the day since the initial sighting. One can only assume that it's been in the area all along but it doesn't seem to enjoy birders' attention, and has since disappeared again. The Lesser Yellowlegs was also still at Rogerstown Estuary, Co Dublin, on 14th. A Gull-billed Tern was in ploughed fields near Three Burrows, Cornwall, on 14th. A number of Night Herons continued to loaf around the Isles of Scilly, with birds seen on St Mary's, St Agnes and Bryher, though the bird on this last island unfortunately died. Another was at Marazion, Cornwall, at dusk on 14th, while belated news concerned a bird taken into care on 14th. Following a possible in Cornwall on 9th, a Purple Heron was at Swallow Pond, Northumberland, on 14th. The two Cattle Egrets remained at Dungeness, Kent, and Glossy Ibis were represented by long-stayers in Nottinghamshire, Cambridgeshire and Co Waterford. Records of White Stork in Ayrshire, Northumberland, Durham, Cleveland and Cumbria presumably all referred to the same green-ringed escape. An adult Ring-billed Gull at Attenborough Nature Reserve, Notts, on 12th was the first county record for 19 years; another adult was at Hillwell, Shetland, on 13th and five first-winters were still in Cornwall and on North Uist. Two remained in Galway City. One adult Bonaparte's Gull continued in Cardiff Bay, Glamorgan, to 10th at least, while the first-winter Laughing Gull continue to commute between New Brighton and Seaforth, and the second-summer was still at Ballycotton, Co Cork. The second-winter American Herring Gull was also still at St Just, Cornwall, on 11th. There was a Snowy Owl atop Gleninagh Mountain, Co Clare, on 11th — one was reported in this area during summer 2014 — and a White-tailed Eagle visited North Ronaldsay, Orkney, on 10th. Black Kite reports started to filter through: birds were at Hayle, Cornwall, on 8th; Donna Nook, Lincs, on 9th; Kingsdon, Somerset, on 10th; Grove Ferry, Kent, on 11th; and Cromer, Norfolk, on 13th. The glorious conditions evidently encouraged wintering Rough-legged Buzzards to start making a move, with new birds reported from Cambridgeshire, Norfolk, East Yorkshire, Cleveland and Northumberland in addition to a handful of long-stayers. 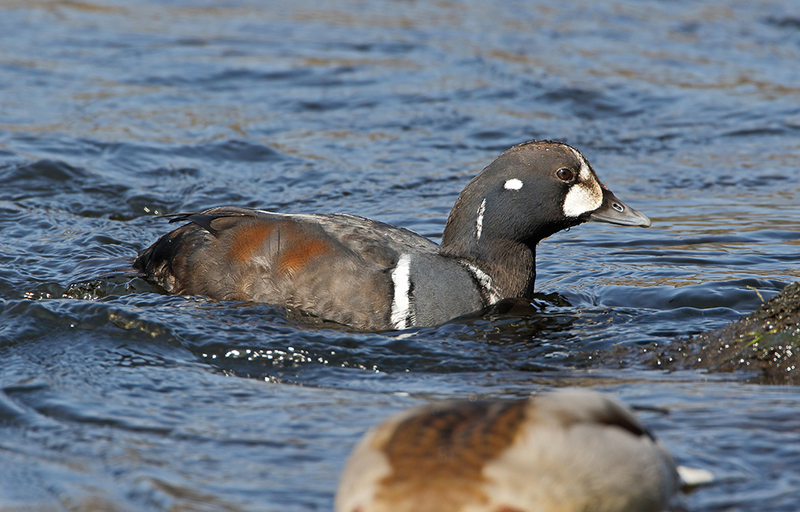 Both Harlequin Ducks lingered through the week, with the female King Eider still off Ruddon's Point, Fife, and the Aberdeenshire drake relocating to St Combs on 14th. After last week's single drake, an amazing seven Surf Scoters were found off Hoylake, Cheshire, on 9th, four of them still present on 13th. Presumably these are the same birds that wintered off the Conwy coastline, where there were still two drakes on 9th. 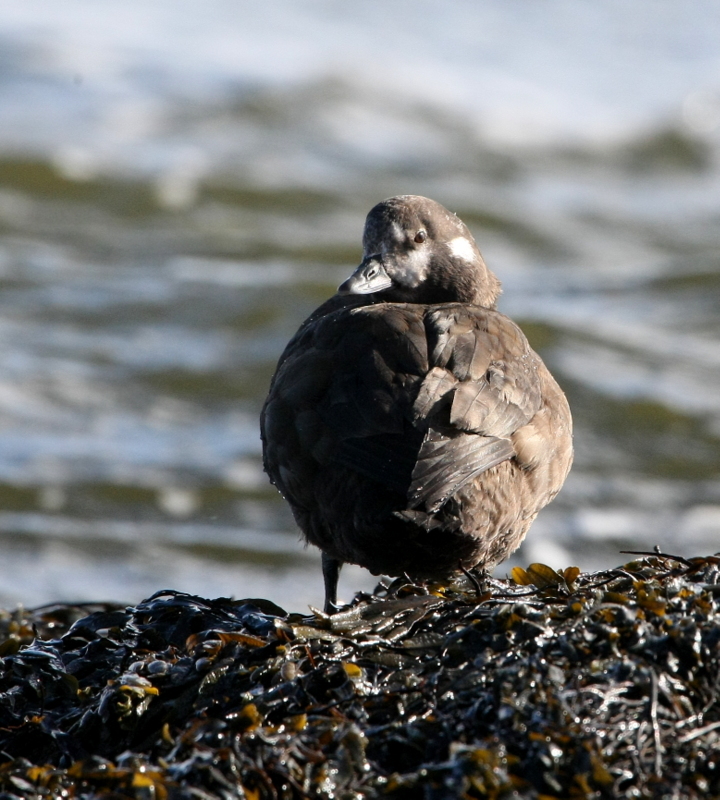 The drake also remained off the Lothian coast on 12th. 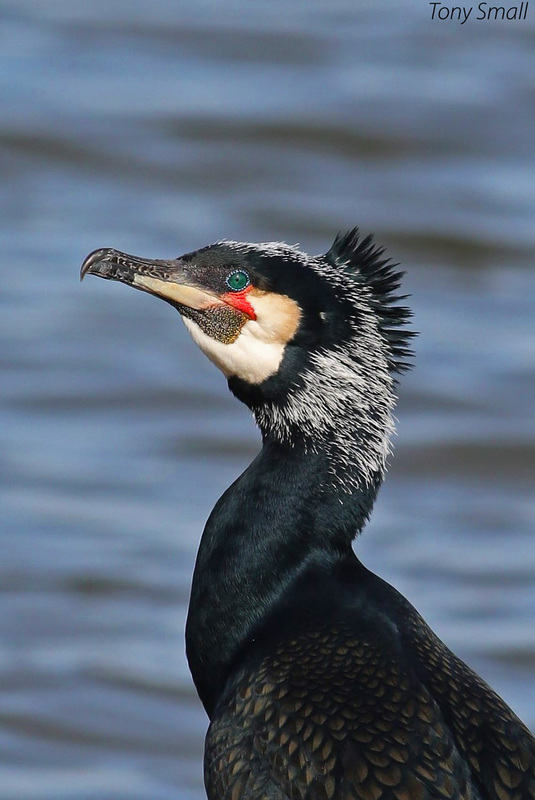 Up to two White-billed Divers were seen from land off Portsoy, Aberdeenshire, throughout the week and another was found off Lossiemouth, Moray/Nairn, on 9th. Others continued off South Ronaldsay and the Isle of Lewis. A female Lesser Scaup at Loch Ardvule, South Uist, from 12th was the only new individual of the three recorded this week. Up to four Ring-necked Ducks remained at Standlake, Oxon, with others still in Co Mayo, Co Londonderry and Aberdeenshire. The American Black Duck was also still on Tresco, Scilly, and the Blue-winged Teal was again at The Shunan, Orkney, on 12th. 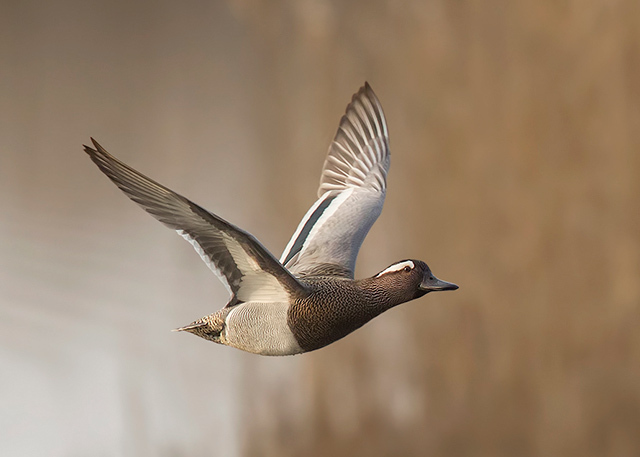 Another drake Blue-winged Teal was elusive at Donna Nook, Lincs, from 12th, while seven Green-winged Teal included new birds at Titchwell, Norfolk, on Tiree and in Shetland. Six American Wigeon included a new male at Tacumshin, Co Wexford, from 11th. 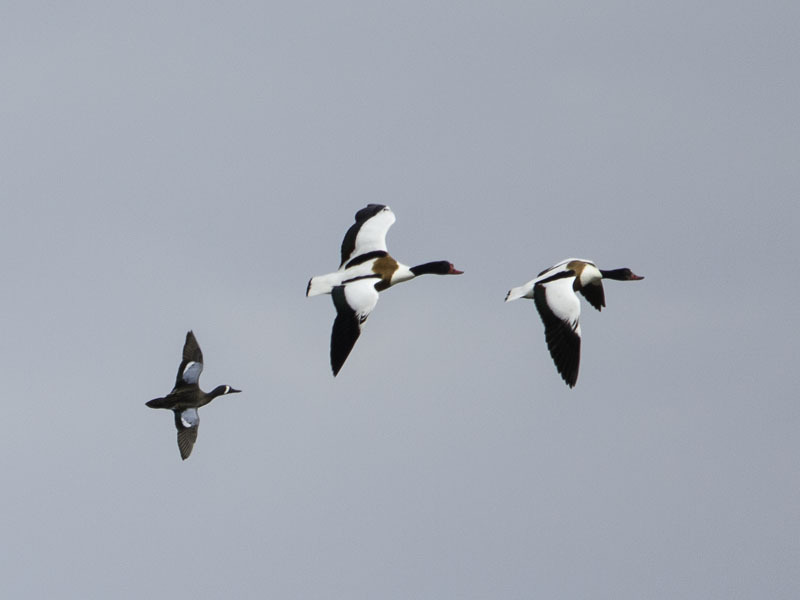 Three Black Brants were in East Yorkshire, Lincolnshire and Suffolk. 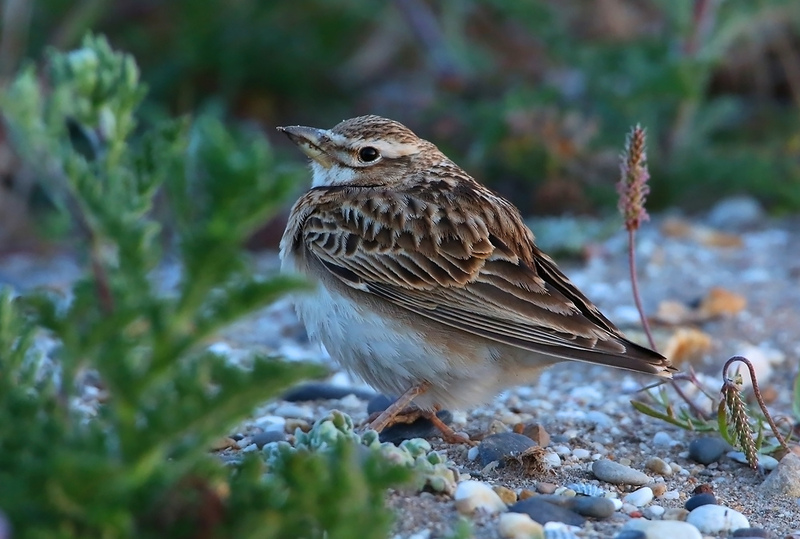 There were some fantastic birds around the Western Palearctic region this week, not least France's first Bimaculated Lark found at Hyères salt pans, Var, at dusk on 11th. 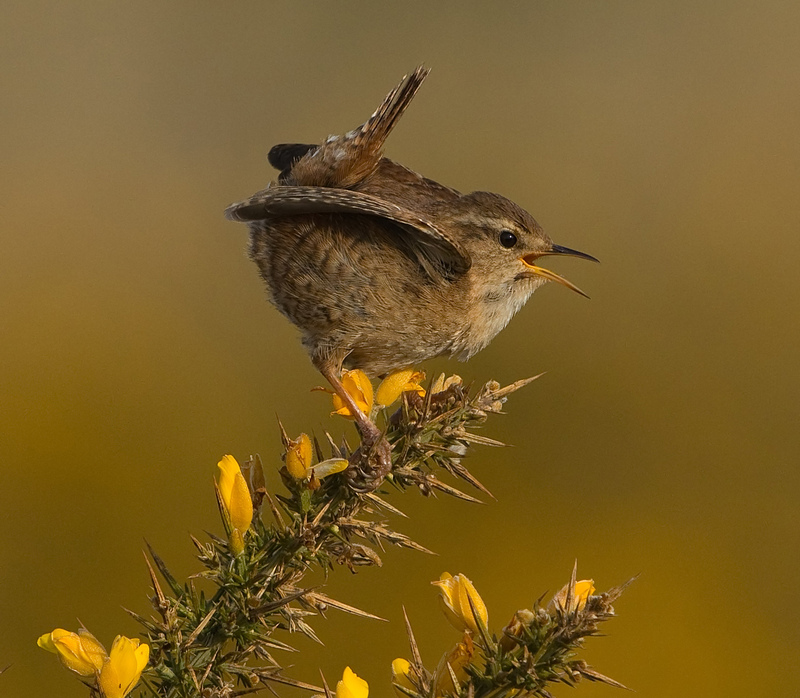 Proving very confiding, the bird posed for some extremely gripping photographs and is a stark reminder that it's almost 39 years since the last British record. 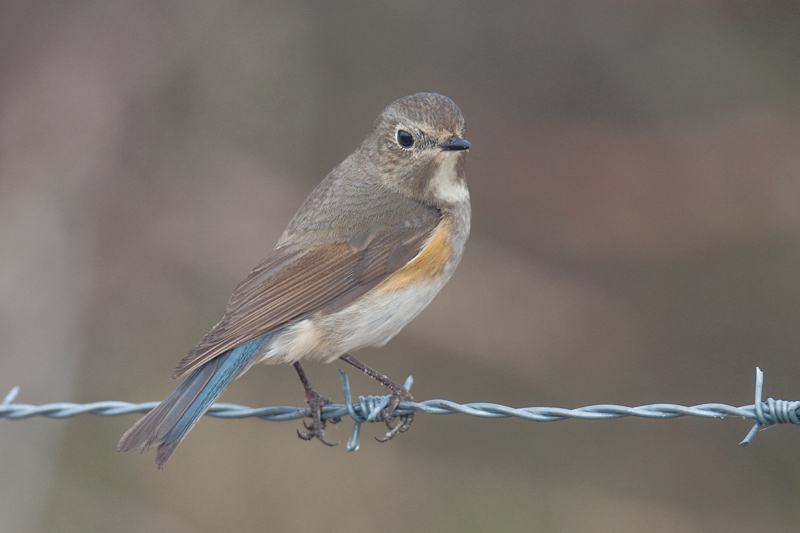 After a bird in Niedersachsen, Germany, on 9th, the Netherlands' first-ever spring Red-flanked Bluetail was a fantastic find at Noordwijk, Zuid-Holland, on 10th. 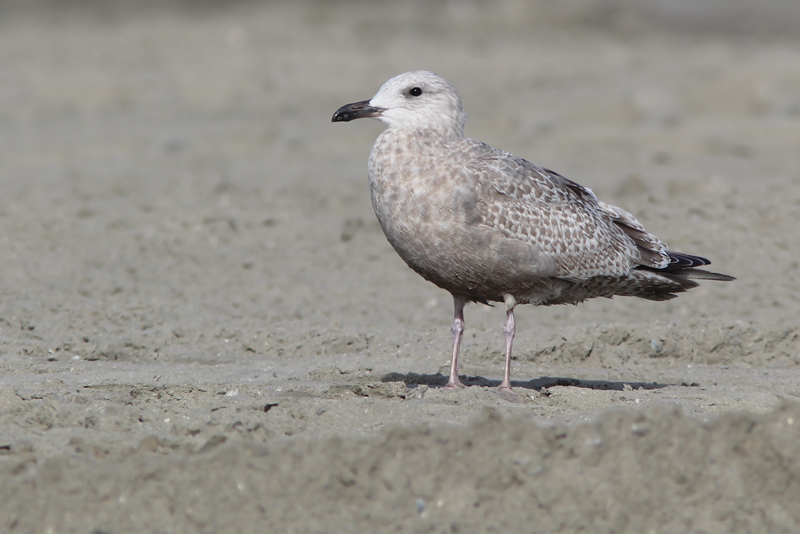 It was, however, upstaged by the country's first Thayer's Gull on 11th: found late in the day at Egmond aan Zee, it fortunately lingered into 12th and allowed many Dutch birders to connect. About as bona-fide as they come in terms of appearance, this robust juvenile disappeared late afternoon though reappeared late on 14th. It's evidently not the Yorkshire bird with various different plumage features and a more robust structure, including bill. In Spain the adult Thayer's Gull was still at Xove, Galicia, to 12th at least and is now sporting a summery white head. 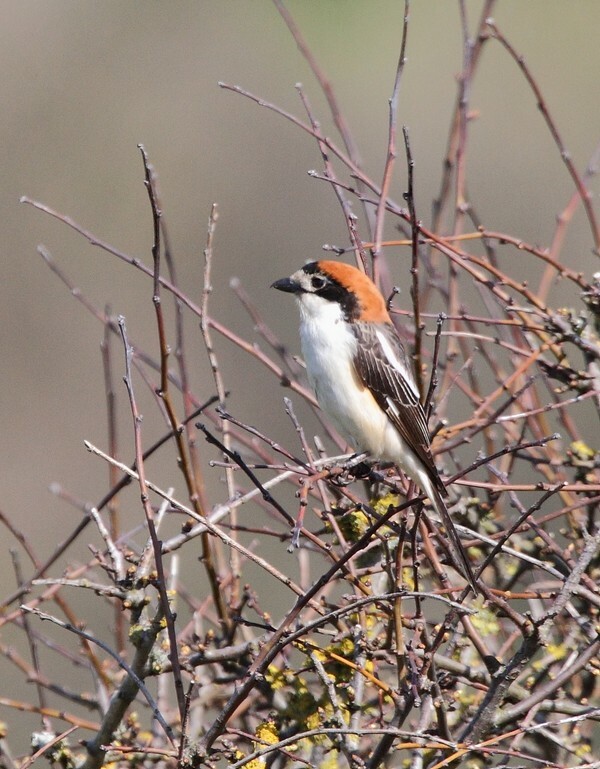 The Brown Shrike and Pygmy Cormorant remained in Catalonia to 11th and 12th respectively. 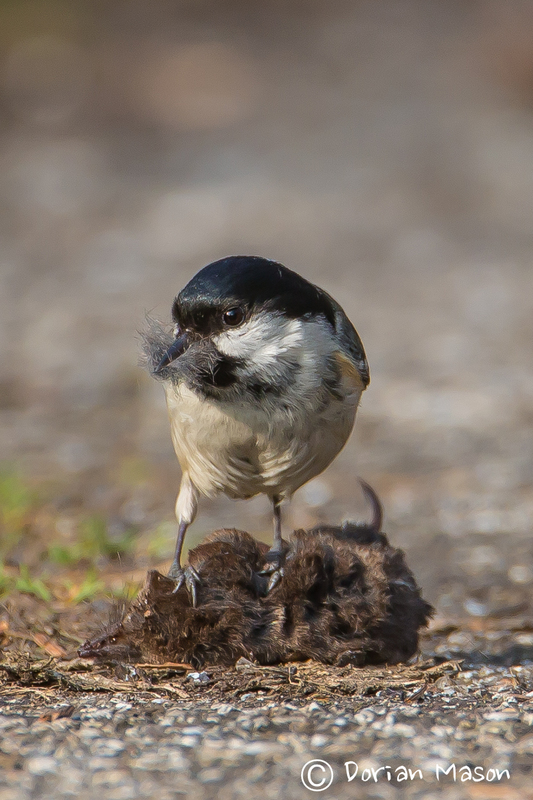 Earlier in the week there was a belated report of a Killdeer. 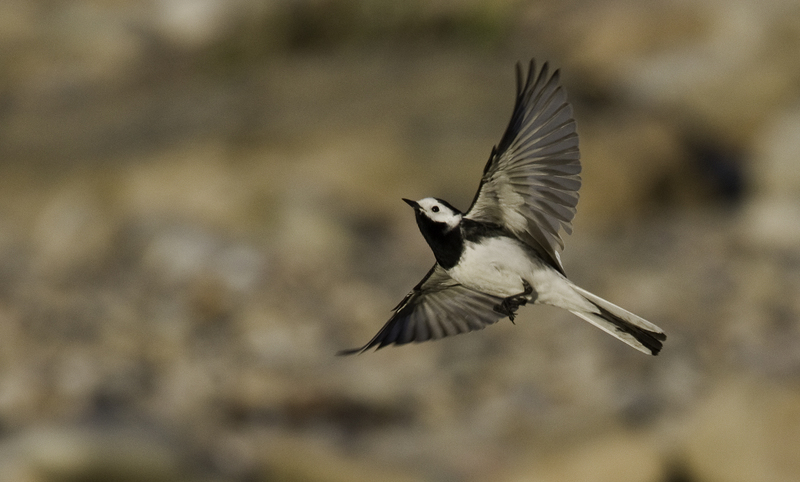 Both Caspian Plover and Hooded Wheatear were seen in the Paphos area of Cyprus and the Grey Hypocolius was still at Ashkelon, Israel, on 8th. Iceland boasted its second Ross's Goose and fourth Red-breasted Goose this week — both are highly likely to be birds recently seen in Scotland, with the Ross's last reported in Forth in 24 March and the Orkney Red-breasted on Stronsay back in January. Mute Swan is probably one of the easiest common species to photograph, writes Steve Young; most park lakes and many reserves have a resident pair and they tend to be very tame. 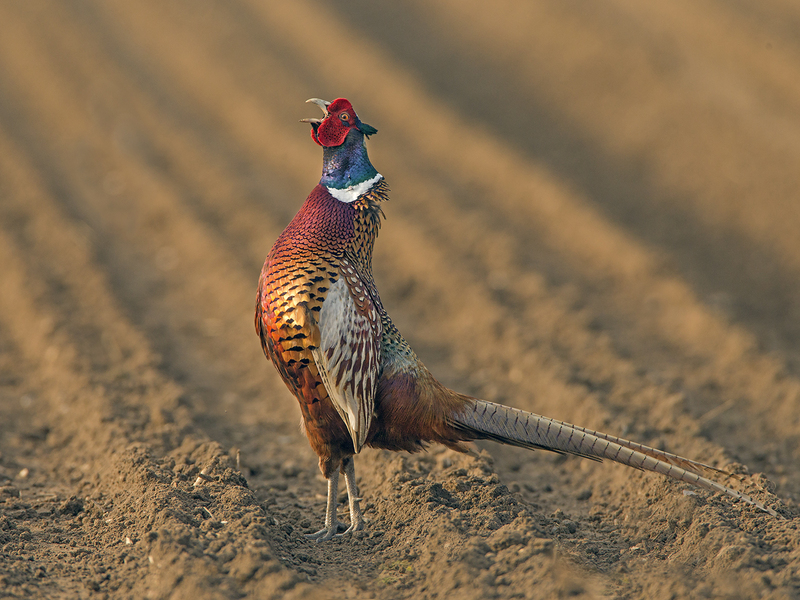 For that reason it has to be a special shot to win POTW, and that is exactly what Chris Hawes has managed with this beautifully lit image. Getting out and about before dawn has paid off for Chris. 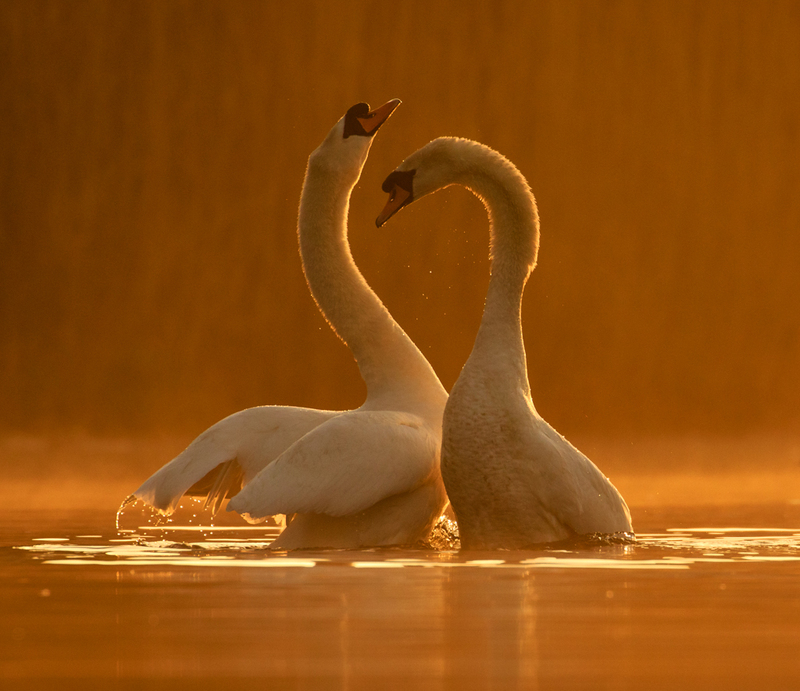 Shooting in the low sun, he has obtained a nice 'halo' around the swans and the 1/2000th-second shutter speed has caught the action of the displaying pair, with the out-of-focus background enhancing the image. 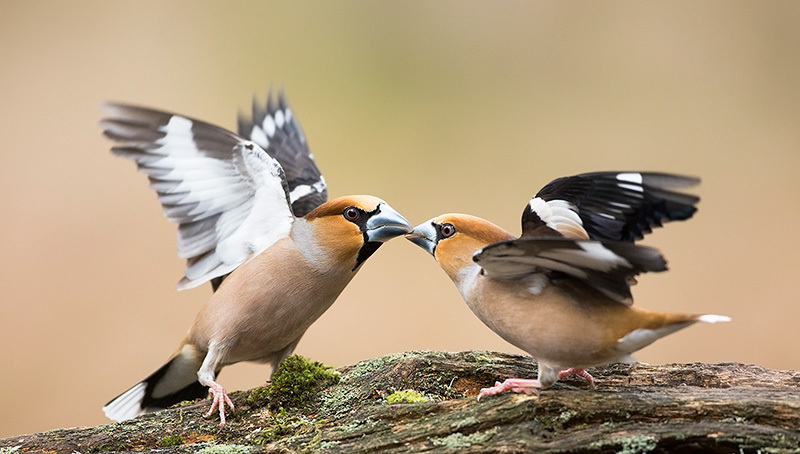 This mating ritual is not hard to capture but this sort of lighting has made Chris' shot stand out and made it that bit special; no doubt he will return for his perfect shot where the two bills meet to create a perfect heart shape! 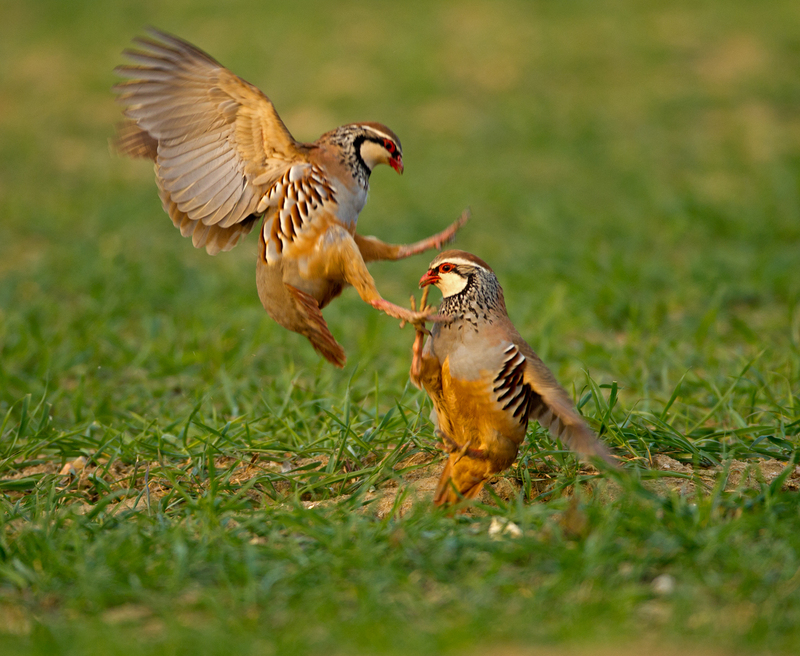 Congratulations to Chris on his POTW, a worthy winner in another week of stunning images.